When you think of fiber, most people can tell you to be eating more, but few actually know what fiber is. Fiber moves through your body more slowly than highly processed foods, making you feel full faster and satisfied longer. High-fiber foods not only taste good, they’re also major contributors to good health and prevent disease. 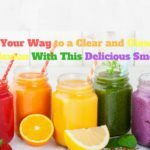 The foods we consume and the nutrients contained in those foods can have a profound effect on how our bodies work even though fiber is a type of food, our bodies cannot fully digest, so it provides no calories. Fiber plays an important role in long-term health, but as a society, we don’t eat nearly enough. 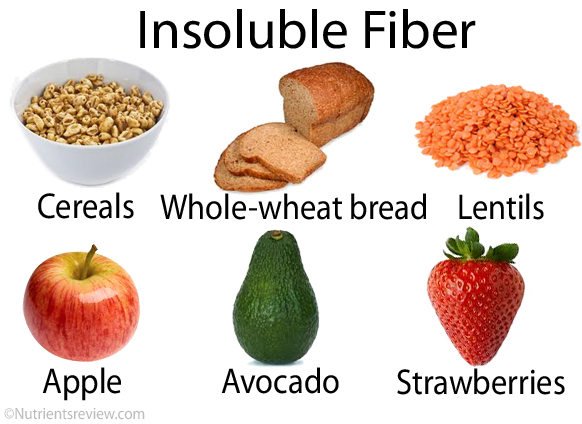 Nutritionists and medical scientists have categorized dietary fiber into two classifications: soluble and insoluble. Both types are important, this is why the total dietary fiber is the value to watch. Both come from plants and are forms of carbohydrates. Unlike other carbs, your digestive system can’t break down and absorb fiber. Instead, it moves through your body and slows digestion, makes your stools softer and easier to pass. Dissolves easily in water, forming a gel-like mush in the stomach and small intestine which gives you a feeling of fullness. This substance slows digestion, that gives essential vitamins and minerals to absorb through intestinal walls. This type of fiber does not dissolve in water but is important for your overall health and well-being as soluble fiber. It adds bulk to the stool and helps move things along your digestive tract. Parts of the food that are high in insoluble fiber often look like the same in your stools because insoluble fiber does not break down in your gut. Consuming adequate insoluble fiber keeps you regular. Fiber is plant-based foods that are found to be healthy. 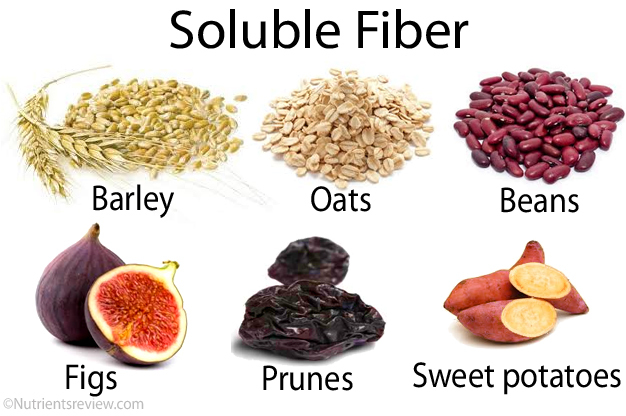 Many natural foods have a high content of soluble and insoluble fiber, making them good additions to your diet. 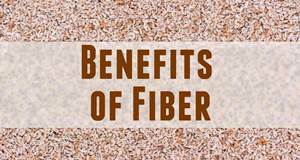 Adding more natural sources of fiber to your daily diet is important for your health. Below are some lists of food that will get you a daily dose of fiber. This is a class of vegetables that include peas, lentils, and beans. 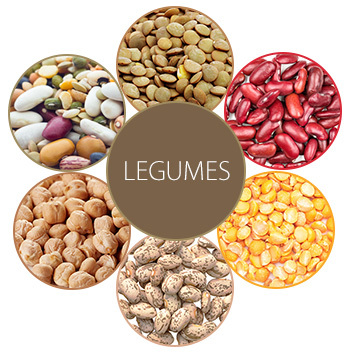 They provide a vegetarian great source of protein; most legumes are high in protein with all sorts of nutrients. When properly prepared, they are among the cheapest sources of quality nutrition in the world. They are considered a powderfood since they are high in dietary fiber and other nutrients. 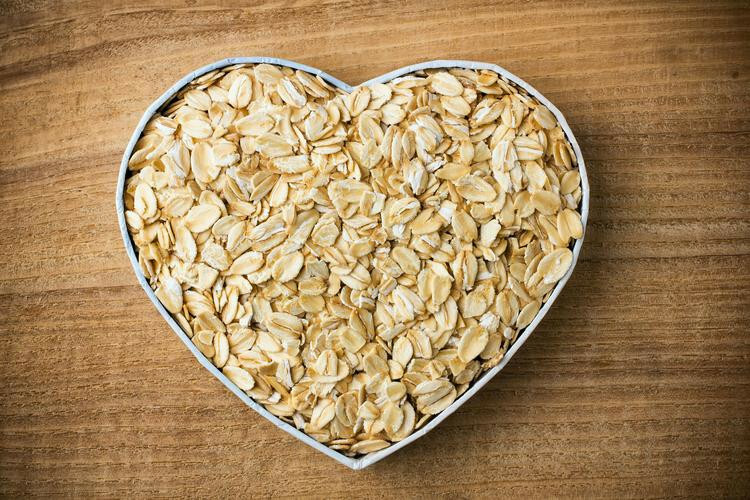 Oats contain beta-glucan, a special type of fiber that has particular powerful cholesterol-lowering effects and reduce the absorption of sugar from the digestive tract into the blood. They are also healthy natural sources of dietary fiber. Nuts are a healthy way to quickly increase your fiber intake. Some nuts are high in fats and should be eaten in mini amounts. However, almonds, pecans, and walnuts have more fiber than other nuts. In order to be a good source of fiber, grains must be in their whole. Whole grains are not processed and still consist their bran or germ layer. This means they have high nutrition and high fiber content. Whole grains can be made into bread, pasta, and other foods. 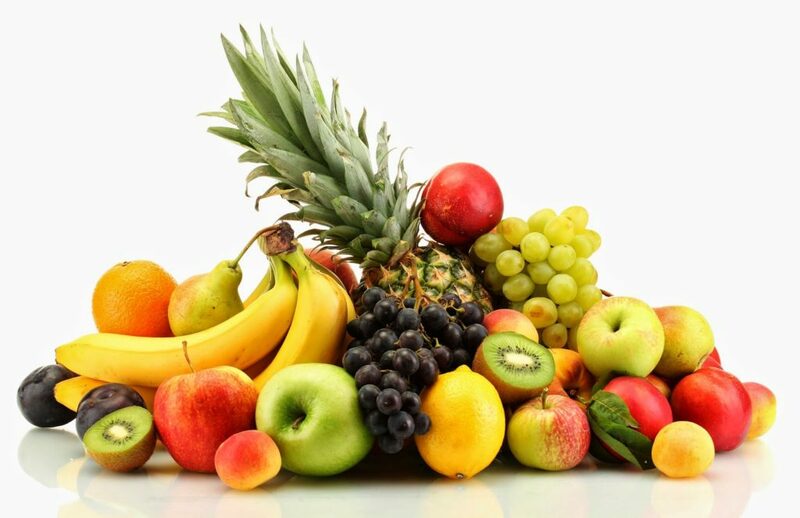 Most fruits contain high in fiber content; eating fruit add both soluble and insoluble fiber for better blood sugar level and lowers blood cholesterol. In addition to all these benefits, it provides a great way to add fiber to your diet. Berries and other fruit, which contain high amounts of fiber, can be eaten raw and also most cooked fruit are also rich in fiber. Fiber makes you feel full and satisfied, fiber is essential for proper digestion and maintaining your overall health well-being. Fiber can be beneficial in many ways, including keeping your intestines running smoothly and reducing your risk of some certain diseases. Low-fiber diets are associated with sluggishness, constipation, irregularity, bowel syndrome, diverticulosis, and colon cancer. High-fiber diets tend to prevent these diseases and problems. They’re also associated with healthy weight management. For those having diabetes, fiber particularly soluble fiber help to slow the entrance of glucose (sugar) into your bloodstream and help balance the blood sugar levels. 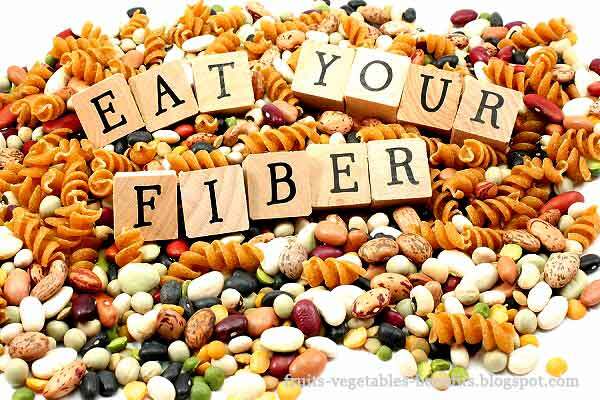 Fiber has also shown a decrease in risk of cardiovascular disease, coronary heart disease in people eating high amounts of dietary fiber. Recent research also suggests fiber also helps in protecting against colorectal cancer, breast cancer, and uterine cancer. 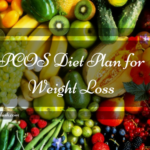 Another alternative is HCG diet supplement, which also works for weight loss. 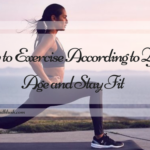 Make sure to choose best weight loss program before you finalize anything. 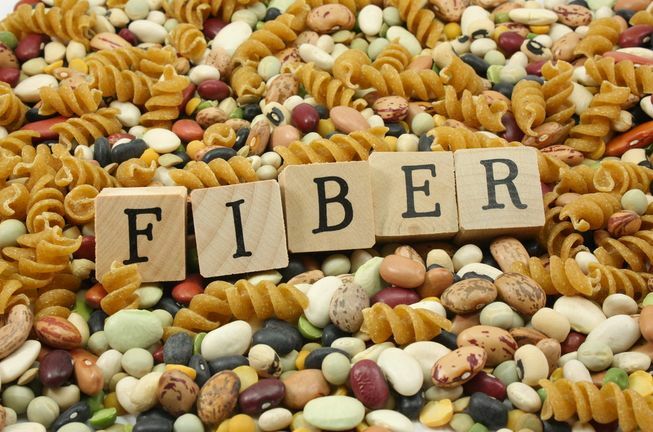 Fiber is a type of carbohydrate that is found in nutritious foods. It is an important nutrient with many health benefits. You need varying amounts of fiber, depending on age and gender. Women tend to consume fewer calories than men, therefore, they need little fiber. Make sure you drink plenty of water to help flush all the fiber out of our bodies. To reap the healthy benefits of fiber, try to eat at least 20-35 grams of fiber per day. Below are some simple ways to increase the fiber in your diet. Starting your day with the right food is very important. Choose breakfast cereals with at least three grams of fiber per serve. 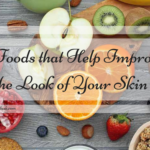 Eat some popcorn, fruit, whole grain crackers, or nuts. These snack foods all consist of fiber and other nutrients that can benefit your health. Avoid high fat, high calorie, and low fiber snacks. Check your food labels to help you pick the most nutritious high-fiber snack foods. 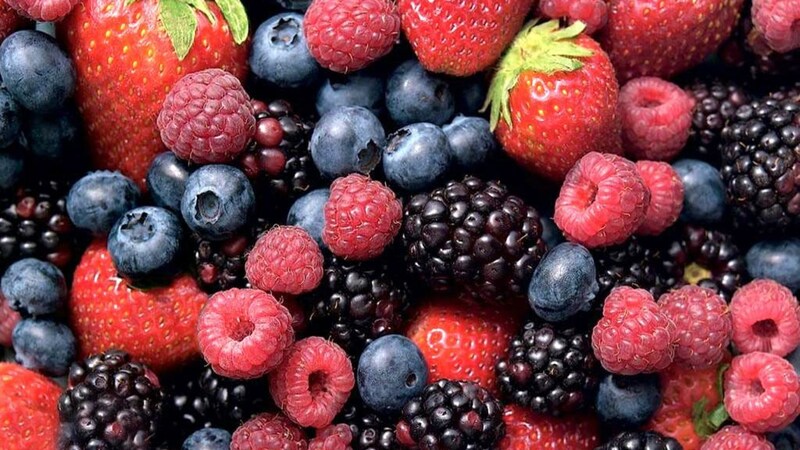 Fresh fruit is a good way to add fiber to your diet. Fruit with the highest fibers include berries, apples, prunes, oranges, and pears.Eating at least five servings of fruits per day will help boost your fiber intake and maintain a healthy weight. This is a Guest Post by Gracy Liura. I am shyam weighing around 105 kgs. tODAY I THOUGHT OF searching for foods that are rich in fiber. 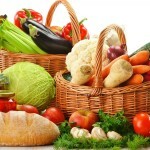 Your article rich fiber foods gave me a glimpse look of them. Thank you for posting such informative article. Thanks a lot Shyam.I am glad you liked my blog post. Anumeha we really need to have a fiber rich diet for the healthy functioning of our body. I eat nuts but I am afraid to gain weight. What can be the better substitute for it? Amanda nuts, when consumed in moderation, can be a very healthy part of the diet and they won’t increase weight if taken in moderation. They provide protein, fiber and healthy fats — all of which contribute to overall health. A relatively good alternative to nuts is a type of legume commonly referred to as a pulse. Pulses include lentils, dry beans (e.g. : kidney beans), chickpeas,and many other varieties of legumes. 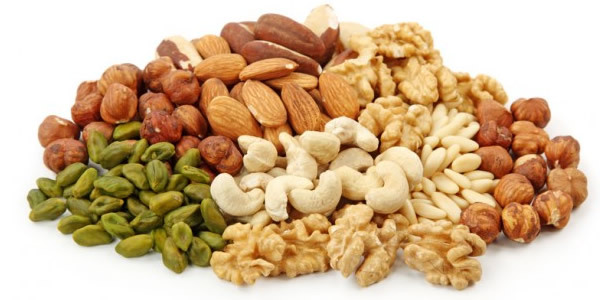 What these foods have in common to nuts is a high protein and fiber content. But they don’t provide a source of healthy fats so they do differ from nuts in that regard.Other good substitutes for nuts are olives, pumpkin seeds, sunflower seeds and avocados. Thanks for the suggestion Yamini.. It is really helpful. I am glad that you found this post so helpful Alisha. Nice post, it is higly informative!.i love oats! Fiber helps in weight loss and weight management among obese people. 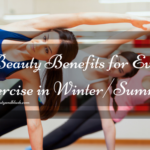 Also it helps in nourishing the muscles and provide flexibility to body. Apart form that, It also improves the skin health by making skin healthy and glowing. Hi Tressie.Yeah that os very true…Fibres are really important for your body.